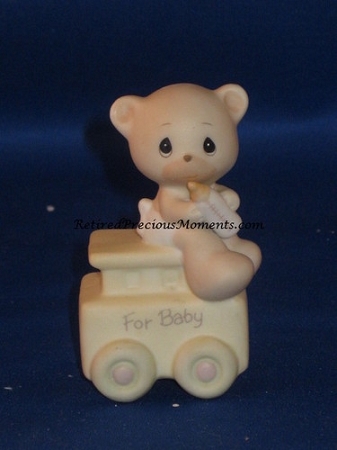 This addition to the Birthday Train figurine series depicts a little teddy bear sitting on top of a caboose. The caboose has the message, "For Baby". Age Baby. Stands 2.75 inches tall.